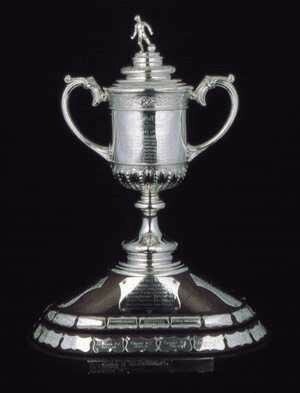 On 17 February 1894, Rangers won their first Scottish Cup, beating Old Firm rivals Celtic 3–1. They currently have 33 Scottish Cups, while Celtic have 36. 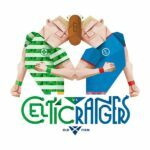 Rangers and Celtic had already played once that season in the league, with Rangers winning by the comfortable margin of 5–0 thanks in part to a hat trick from midfielder John Barker. Barker struck again in the Cup Final, played at Glasgow’s Cathkin Park (then known as the second Hampden Park). The first goal, however, came from defender Hugh McCreadie, who played in Rangers’ central defense alongside his brother, Andrew. Barker doubled the lead, then midfielder John McPherson added a third. Celtic, who had won the Cup two years earlier and were the reigning league title holders, finally got a late consolation goal from half-back Willie Maley. Although they lost the Cup, Celtic exacted their revenge one week later, beating Rangers 3–2 in the league en route to winning that season’s title.